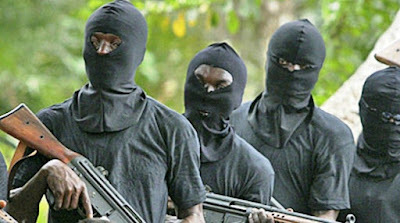 Gunmen have abducted 11 people from a bus near Port Harcourt on Monday, two of the passengers who escaped from the armed gunmen have said. Also, addressing journalists at the state police command headquarters in Port Harcourt, the State Commissioner of Police, Ahmed Zaki, while confirming the incident on Tuesday morning condemned the incident adding that efforts are underway to rescue the victims and bring the perpetrators to book. The passenger told Premium Times reporter that the ambush took place around 9 p.m. on Monday between Ndele and Elele Alimini communities. “After asking us to come out from the bus, they tried to take us inside the bush but five of us in the bus escaped before police and military personnel arrived the scene,” the passenger, Amiekro Princewill, said. Another passenger who escaped, Bright Belekwe, explained that 18 passengers and the driver, had embarked on the journey but 16 persons were in the vehicle after two others alighted earlier. Though security operatives made up of the police and soldiers were said to have combed the area in search of the armed bandits, they couldn’t locate the victims or their abductors. “We were 18 excluding the driver who boarded the bus from Rumuokoro going to Ahoada but when we got to Ndele, two people dropped. After that, between Ndele and Elele Alimini, hoodlums ambushed us and tried to take us inside the bush. “I and four others escaped before police personnel arrived the scene. We were ushered into another vehicle by the police which took us back to town,” Mr. Belekwe said.